T. Derksen – Western University of Health Sciences College of Veterinary Medicine. - R. Lampron – Department of Animal Science University of California Davis. - R. Gallardo – Corresponding author, Department of Population Health and Reproduction University of California Davis School of Veterinary Medicine. As backyard poultry grows as a hobby in the United States there is an increased worry that poultry will become infected with Salmonella spp. and transfer this infection to those commingling with birds or consuming their products. Within the next five years 4% of the population of some of the largest cities in the United States plan on getting chickens. Currently, almost 1% of the population in the same cities already own chickens (NARMS-USDA). Backyard poultry owners lack reliable sources of information to care for the birds and keep them in good health. The common source of information for backyard flock proprietors are non-academic websites which translates in to substandard biosecurity, health, and management practices. In this study we focused on paratyphoid Salmonella and Salmonella Pullorum causing food safety issues in humans and chick septicemic disease with high mortality, respectively. 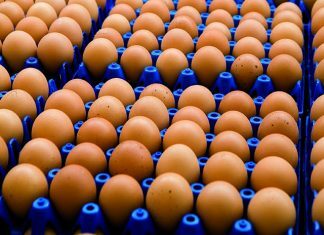 A countrywide Salmonella outbreak in humans, linked to live poultry in backyard flocks has been ongoing during 2017 with 1120 human cases. The purpose of this study was to determine correlation between backyard flock biosecurity and management, and Salmonella prevalence in small flocks. These results will help direct biosecurity measures needed to be taken by backyard producers in order to diminish the risk of Salmonella outbreaks and spread, and to preserve human-animal health. Biosecurity survey – A survey was created to assess the management and biosecurity of backyard chicken flocks. The survey was modeled after a biosecurity assessment of commercial poultry facilities. The survey consists of 34 questions and was conducted face-to-face with the participants at their property. The same interviewer was used every time the survey was conducted. 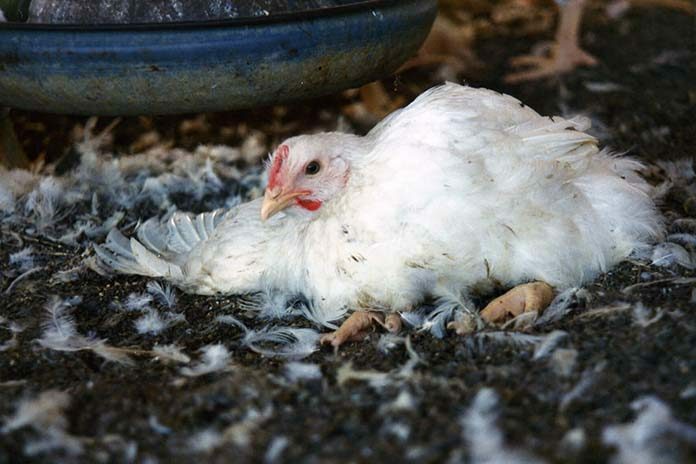 Backyard flocks – All animal experimental procedures were approved by the University of California-Davis Institute Animal Care and Use Committee. Backyard poultry flocks were located and contacted using the California Backyard Poultry Census. The size of the flocks ranged from 2-400 birds and all flocks were located in Yolo, Sonoma, Napa, Alameda, and Yuba counties in California. All the flocks were visited between January and September, 2016. Serological tests – Antibodies against paratyphoid Salmonella were tested using a commercially available ELISA kit targeting a Salmonella flagellar antigen. Antibodies against Salmonella Pullorum were tested using a plate agglutination assay. Statistical analysis was performed using chi-square test, statistical significance was determined at p<0.05. Forty-one backyard flocks with a total of 554 birds were sampled. Flocks contained a mix of breeds, varied from two to 400 birds, ages ranged from two to 10 years old. All flock owners (41/41) answered the questionnaire when sampling occurred. Paratyphoid Salmonella was detected by the ELISA kit in five out of 41 unique flocks and was suspect in 13, with an overall flock prevalence of 20% (8/41). Out of the 540 samples tested by plate agglutination tests, 77 were positive for S. Pullorum (14.3%). If we consider the flocks 33/41 had positive birds (80.5%). Flock-based categorized Salmonella positivity showed no significance; however, individual bird categorized data showed statistically significant trends when survey questions were correlated with Salmonella positivity. Lack of use of dedicated poultry clothing and footwear showed significance increase in both paratyphoid Salmonella (p<0.05) and S. Pullorum (p<0.05). The presence of wild birds near flocks showed a significance increase for S. Pullorum (p<0.05). Presence of rodents showed significance increase of S. Pullorum (p<0.05). Obtaining birds from NPIP hatchery showed a significant decrease in S. Enteritidis (p<0.05). Backyard poultry owners showed to be lackadaisical when it comes to implementing simple biosecurity measures such as, using dedicated shoes or clothes to work with poultry. It has been previously shown that diseases can stay in boot crevices even after boot disinfection. This habit correlates with high paratyphoid Salmonella and S. Pullorum prevalence. Most of the backyard flocks were stated to have contact with wild birds which have the potential to be infected with S. Pullorum. Rats and mice have been shown to act as biological vectors for S. Pullorum and may potentially transmit S. Pullorum into a backyard chicken flock. Obtaining birds from NPIP hatcheries shows a significant decrease in paratyphoid Salmonella (p<0.05) which is an indication that the NPIP hatchery monitoring practices for S. Enteritidis are effective. The results from this study indicate that Salmonella spp. may be commonly located in backyard poultry. Backyard poultry owners need to understand that Salmonella spp. exist within their flock so that they can be sure to take simple measures such as washing their hands. This project has shown that backyard poultry owners can implement simple measures in their flocks that will help decrease the risk of Salmonella spp. infection, reducing not only the risk of disease in their flocks, but also zoonotic diseases.